Just recently I found out about an eye shadow company called Glamour Doll, the company sells eye shadow pigments, glitter, and other beauty products. As luck would have it, the company allows you to purchase sample jars of their products so that you can test out the different colors. Each grab bag will come with whatever amount of shadows that you choose; I purchased the 20 sample grab bag. The grab bags are an excellent idea, this way you don't have to purchase a pigment that you may not like, you can test several shadows at a time, then make an informed decision on your next purchase. The grab bags may come with shadows from their regular line, Twi-Shadows, Super Shadows and Eye Lights lines. 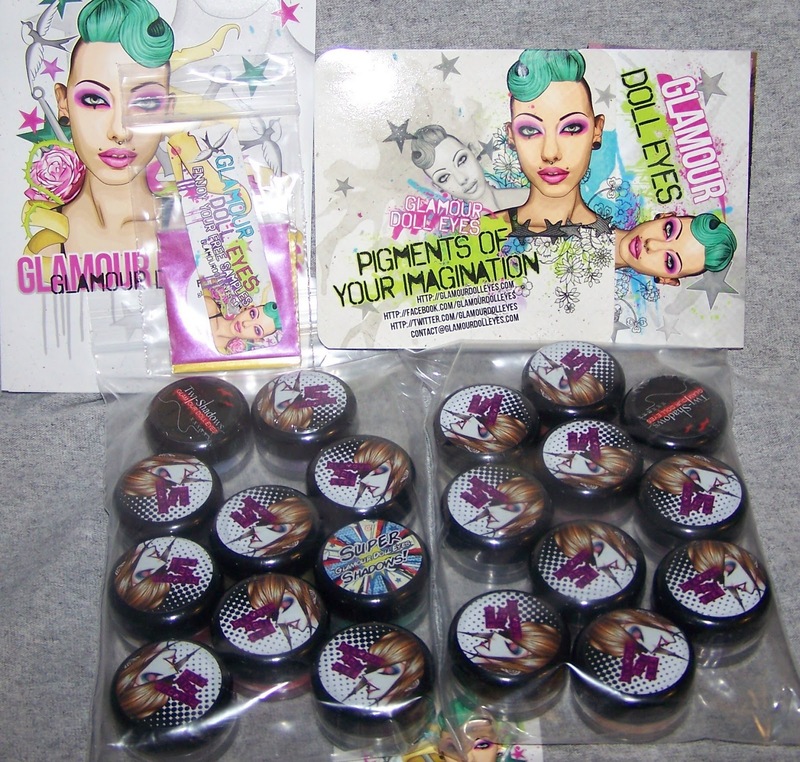 Glamour Doll was started in November 2008, an eye shadow company that strives to bring fashionable and unique colors. The ingredients the company uses are made from earth minerals. The main ingredients that are used are Magnesium Stearate, Zinc Oxide, Kaolin Clay and Methicone Treated Titanium Dioxide. Per the company’s website, all of the colors used in their eye shades are FDA approved for eye shadow use. My first impression of the eye shadow pigments is the company have an excellent color selection. I have tried a few of the eye shadows (Doll House and Ladies Night). I applied the pigment wet over an eye shadow primer. There was some fall out which is expected when using eye shadow pigments; however, the color payoff is vibrant and the pigment last the whole work day. Some of the products are vegan safe, and you can use them as a lip stick combined with a clear lip gloss or clear lipstick.